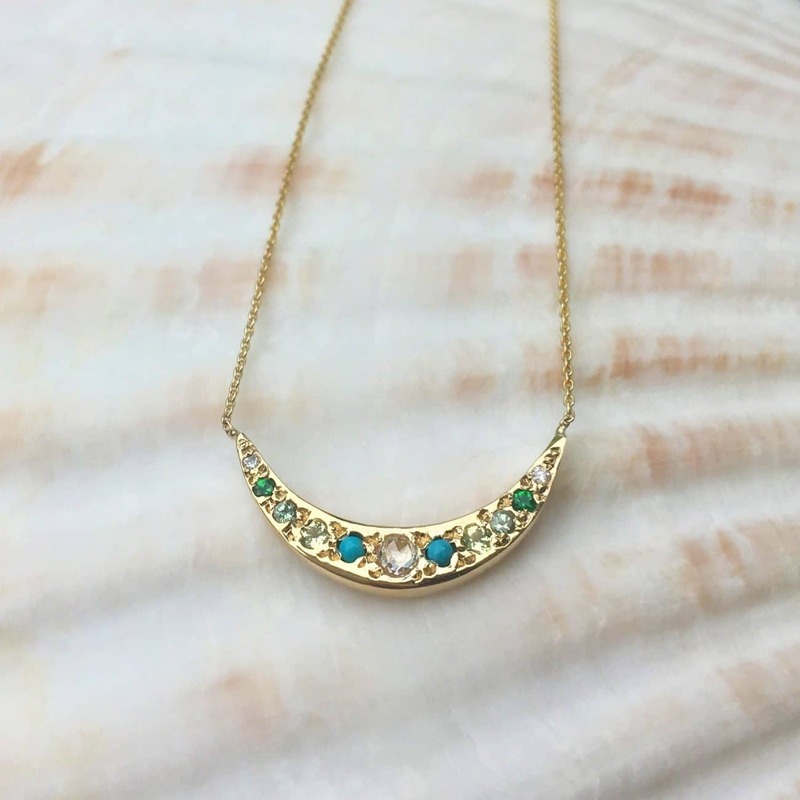 A celestial favorite customized with a medley of gemstones. The perfect gift, select your favorite gems or meaningful birthstones. 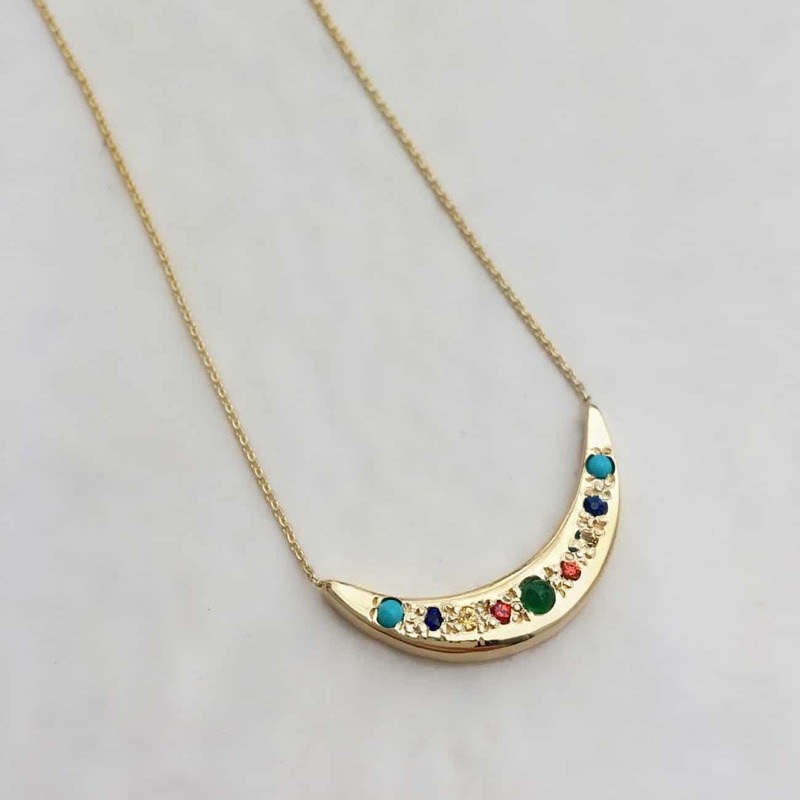 This 14 karat gold moon necklace is available in yellow, pink, or white gold. 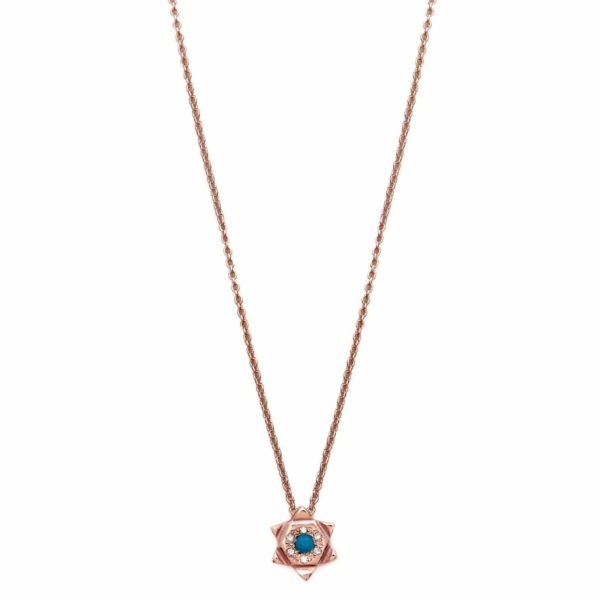 The center is set with a precious gemstone cabochon or rosecut white diamond. 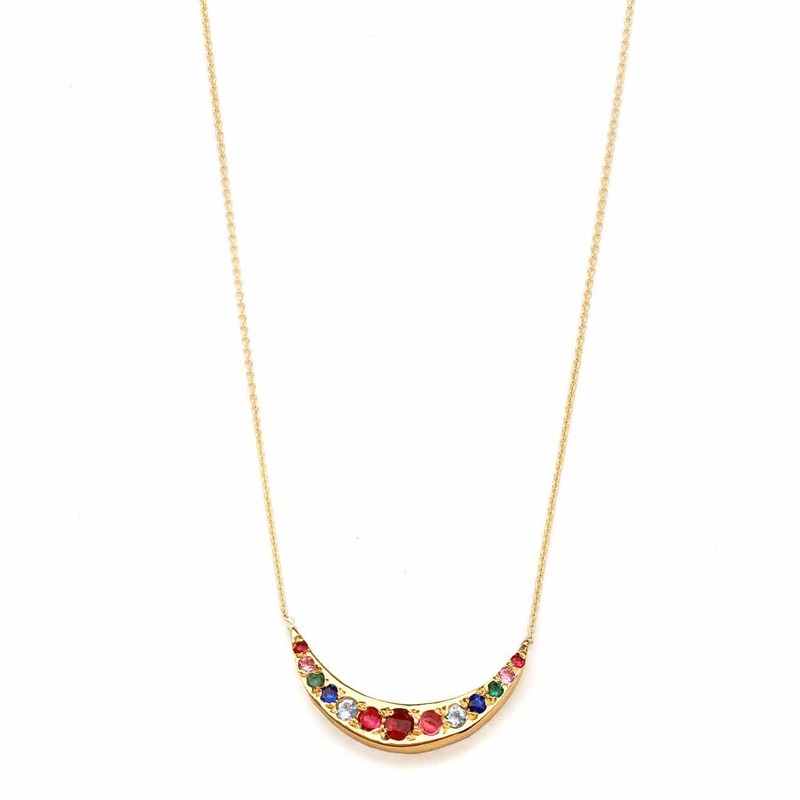 Five 1mm precious gemstones or white diamonds are set on either side of the center stone. Handcrafted by Elisa. 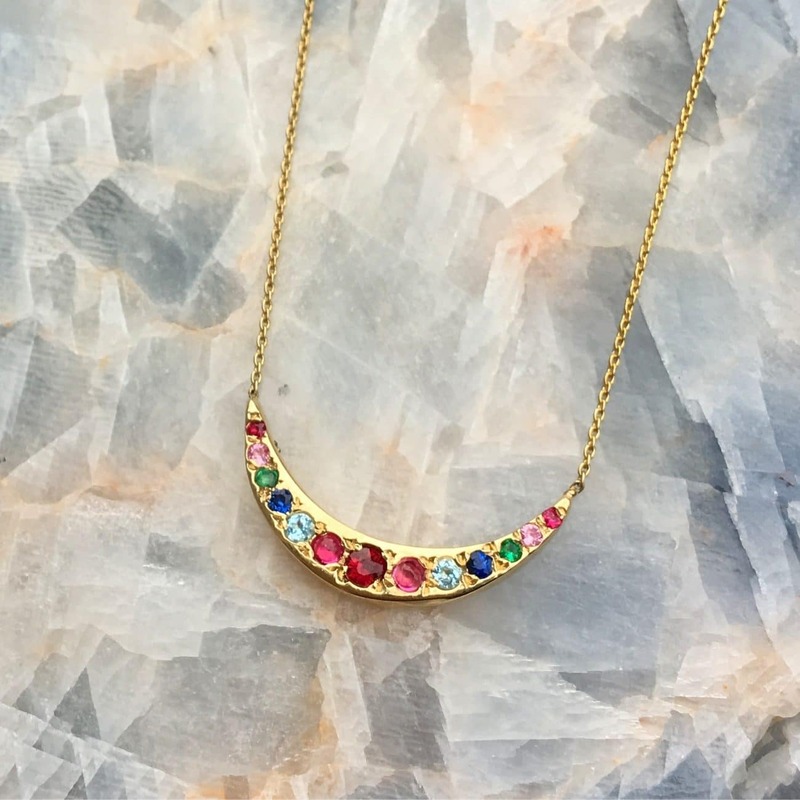 A celestial favorite customized with a medley of gemstones. 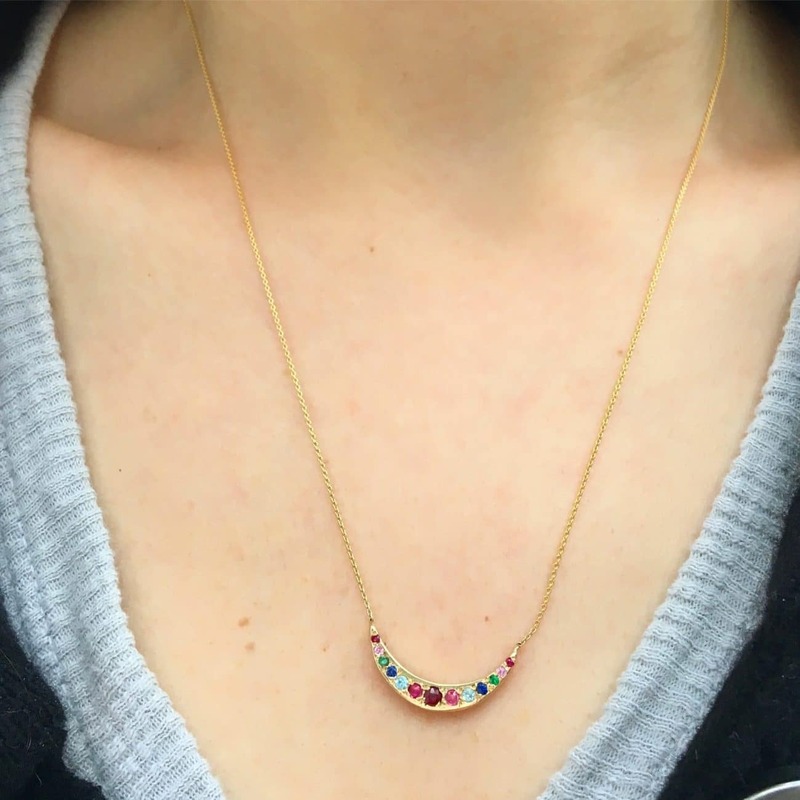 The perfect gift, select your favorite gems or meaningful birthstones. 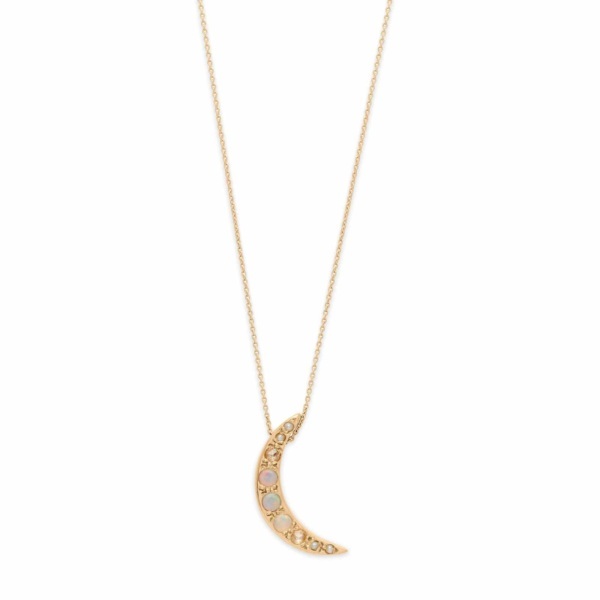 This 14 karat gold moon necklace is available in yellow, pink, or white gold. 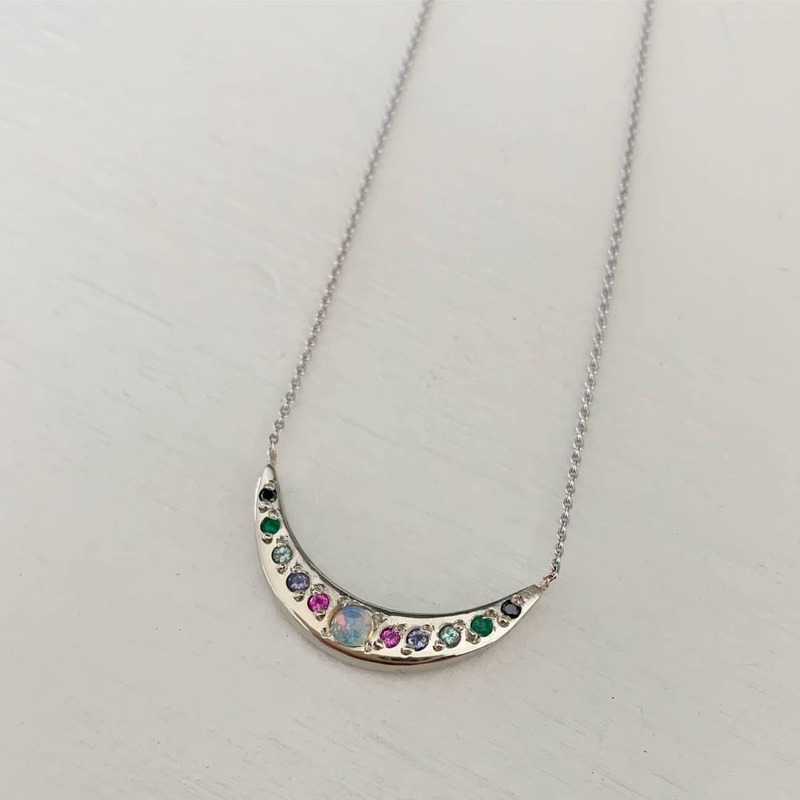 The center is set with a precious gemstone cabochon or rosecut white diamond. 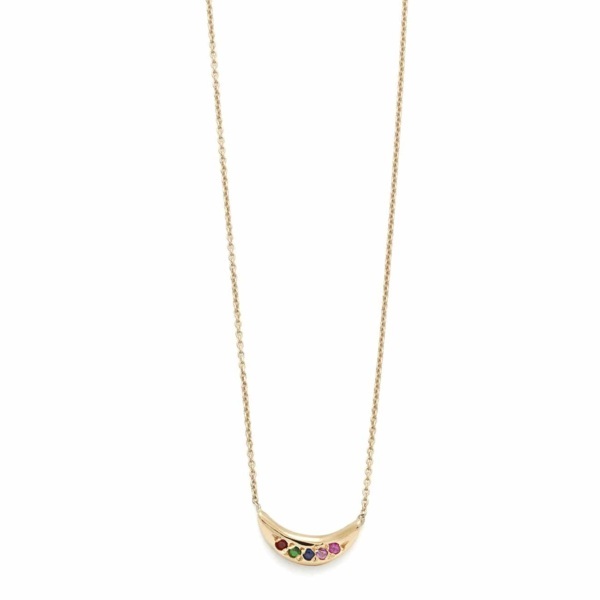 Four 1mm precious gemstones or white diamonds are set on either side of the center stone. Handcrafted by Elisa.